MAMMA MIA! 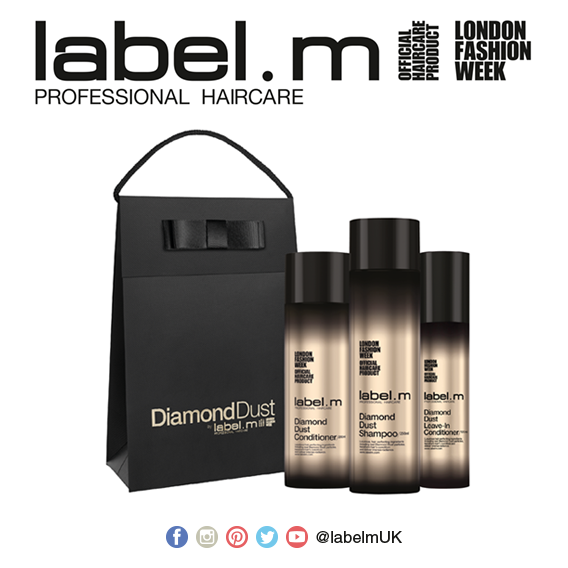 is partnering with label.m Professional Haircare - Official Hair Product of London Fashion Week - this Christmas, so that you can get that special look for the ultimate feel-good festive party! Two winners have the chance to win a fantastic prize of label.m products worth over £100. Each winner will win a luxurious and award-winning label.m Diamond Dust Gift set - formulated with real micronized Diamonds! Presented in a glamourous black bag embellished with co-ordinating black grosgrain bow, the Diamond Dust Shampoo, Conditioner and Leave-In Conditioner is a collective limited-edition PLUS a new label.men Essentials Gift Set, packed full of award-winning products - a gift of style that's high on performance, yet with minimal effort. Complete with a luxe-leatherette travel bag with embossed logo. To enter CLICK HERE and send your name, email and mobile number by 9/12/18.